This is the first of 4 pages about New Caledonia, covering Noumea, the Western Reef, the Isle of Pines, and Prony Bay. 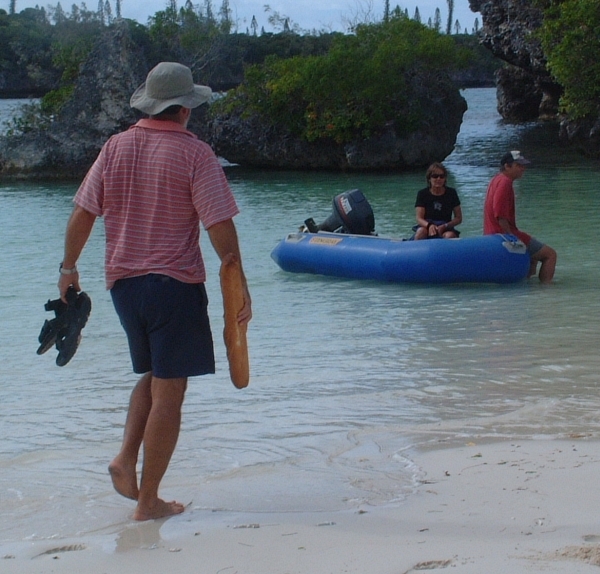 Also check out our New Caledonia newsletters for the story of our passage from Fiji to New Caledonia in October, 2005. Population: About 87,000 Indigenous Kanaks and ~68,000 French/European colonists. Money: French Polynesian Francs. About 100 CFP/US$. Visited: October 8 to November 7, 2005. Pre-History – During the Pleistocene period, about 50,000 years ago, people were able to spread out from South-East Asia and migrate into the islands now known as Indonesia, New Guinea, and the Solomon Islands. Here their travels were blocked by subsequently greater distances of ocean to cross. Austronesians from the west, now called Lapita, eventually moved into the area and intermingled with the Papuans, forming the diverse group of peoples we know today as Melanesians. 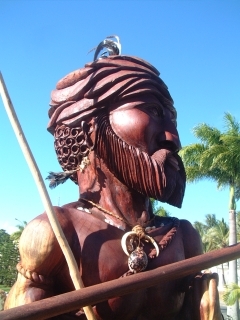 The Lapita were excellent sailors, and by 1500 BC had crossed over from Vanuatu to New Caledonia. They quickly spread to inhabit the islands of Fiji, Tonga, and Samoa as well, where they preceded the Polynesian arrival. For the next millennium the Lapita dominated the southwest Pacific waters with their navigation and trade. On land they were agricultural and very talented at making pottery. Polynesians, threatened by overpopulation of their islands, migrated from Samoa, Tonga, and Wallis to New Caledonia starting in the 11th century AD. The Lapita apparently welcomed the Polynesians, and joined their culture and people together. New Caledonian tribes were widespread and frequently isolated along the coasts, giving rise to the many different indigenous languages. However, all these tribes made a complete living off of terraced crop-farming, fishing, the hunting of flying-foxes, and cannibalism. As in Fiji, the ritual of eating your enemy was a powerful one in New Caledonia, believed to enhance the power and strength of your clan. New Caledonia, like islands farther north, was discovered by Europeans purely because of the search for Terra Australis Incognita, or Australia. In 1774 James Cook was the first to land on Grande Terre, and named it New Caledonia because he believed it resembled the highlands of Scotland (to the Romans, Caledonia). 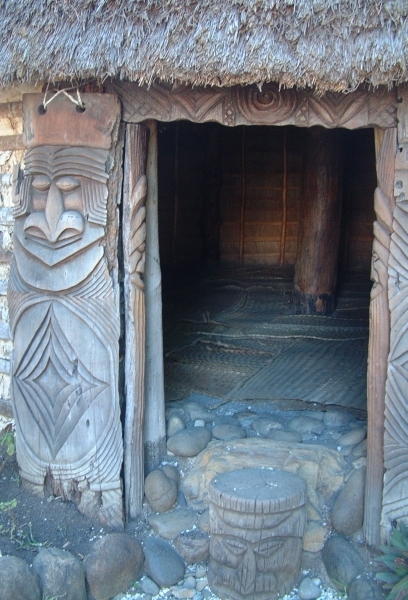 His few days of interaction with the locals left him with the impression that they were “robust and active, courteous and friendly, of honest nature and the women modest.” The only other impression Cook got of New Caledonia was of the fine timber that covered the Isle of Pines – his carpenter assured him that the timber was good enough quality to be used in shipping. The French, when their interest got piqued by the economic potential of New Caledonia, found the locals to be very different from the way Cook described them – in short, aggressive thieving cannibals whose women were not at all modest. There are several theories as to the difference of opinion, from the naivety or criticalness of the two explorers to the possibility that they encountered two very different tribal groups. The French were the first to sight Ouvéa, the northernmost Loyalty Island, but in the same year (1793) an English captain sighted the southernmost, Maré, and noted the presence of sandalwood. The Loyalties were never correctly charted until a French explorer did so in 1827 (but, being French, he used Paris as the prime meridian, zero longitude). New Caledonia was initially used commercially by British whalers from Australia. There was an oil extraction station in the Loyalties but the Europeans weren’t appreciated and this led to skirmishes between them and the locals. Sandalwood-traders were initially better-received and had more of an impact on the local people. In return for stripping the Isle of Pines, the Loyalty Islands, and parts of Grande Terre of sandalwood, the Australian-based Europeans traded metal tools, tobacco, and alcohol to the natives. They also brought diseases that the local medicine men weren’t able to deal with, and as the sandalwood market expanded but supplies dwindled, the Europeans became more desperately threatening and abusive. As hostilities escalated, the locals retaliated in their traditional way – in 1849 the crew of an American ship were massacred and eaten. Later in the 19th century, many New Caledonians were taken as slaves to work on foreign plantations. This happened all throughout the South Pacific. The islanders that were kidnapped by blackbirders were tagged with the name of “Kanakas,” and apparently in New Caledonia the label stuck. For a while it was considered insulting, but after French possession of the area, local New Caledonians took back the racial name of “Kanaks” and now bear it with pride. 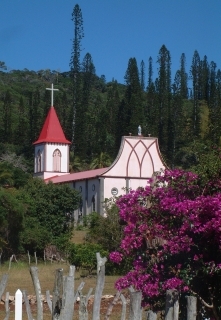 Two main missionary religions factions operated in the South Pacific – the French Catholics, and the English Protestants. Besides their national differences, their religions were against each other as well. This made for very competitive missionaries. The London Missionary Society, having learned throughout the other Pacific islands the best way to approach a different culture, sent two converted Samoan Protestants to the Isle of Pines in 1841. Unfortunately for them they were driven off by inflexible natives, but they established themselves on Lifou a year later. 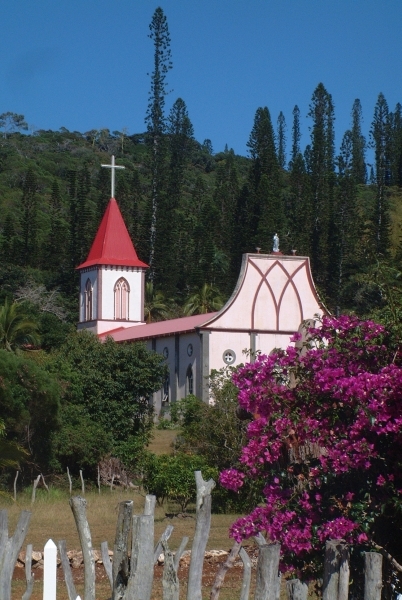 The French Société de la Propagation de la Foi (Society to Propagate the Faith) maintained a missionary on northern Grande Terre for four years, until it was demolished by angry, starving and diseased locals. When the French missionaries returned in 1851, they brought military protection with them. Like what occurred in most other Pacific islands, the missionaries did their best to eradicate the New Caledonian culture. Nakedness and polygamy were labeled as offensive. Cannibalism was staunchly stamped out. Cricket was introduced, and traditional games were left behind. Even more ignored were the traditional Kanak rules and customs, which were passed down verbally through generations. A main part of these customs are the customs of gifts, and sharing. The missionaries believed they had bought land from the Kanaks; the Kanaks assumed the crops on the land were communal, and when they harvested them they were accused of thieving. But as the missionaries became more successful in their conversions tribal wars broke out over religions. The French military only suppressed these “holy wars” in the late 19th century. As France and Britain continued to divide up the South Pacific, France was worried they would get the short end of the stick, and in 1853 Napoleon III annexed New Caledonia. Britain, busy with new possessions of New Zealand and Australia, largely ignored this annexation. France established a military base and began importing over 20,000 convicts. 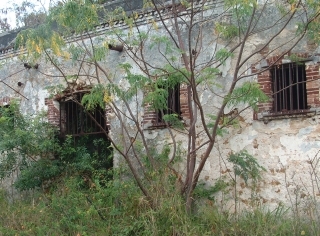 Many were political prisoners, including artists and writers. Well-behaved prisoners did public works, like the building of St Joseph Cathedral in Noumea, while others were sent to violently repressive prisons in the interior or to isolated Iles of Pines where they died of illness, mistreatment, starvation, or the guillotine. Only a few were pardoned after decades of incarceration. Nickel was discovered in 1864, bringing with it more settlers and increased conflicts between farmers, miners, and indigenous peoples. The Kanaks, forced off their farming land onto unfertile rocky reservations, and not allowed to move freely or continue trading with outer islands, revolted in 1878, killing thousands. The repression that followed insured destruction of the Kanak way of life. While the French settlers prospered, the Kanak population declined from 42,000 to less than 22,000 by 1901. During World War I, Kanak chiefs were pressured into sending men to serve the French; this forced conscription lead to more revolts. The legislated discrimination continued until the end of World War II when they were finally declared French citizens. Finally, during WWII, as new Caledonia chose to side with De Gaulle and the Allies, American set up a military base in Noumea from which attacks were launched against the Japanese in the South Pacific. The Kanaks were well treated by the Americans who offered fair wages for their labor. It gave them a glimpse of another way of living, and soon Kanak leaders and soldiers (followed much later by common people) were allowed to vote and form political parties. The population of New Caledonia changed radically in the decades following WWII, as a nickel boom brought in workers form SE Asia and Polynesia. A strong movement for independence was lead by Kanak students who had studied in France and seen other Pacific islands such as Papua New Guinea and Fiji gain independence in the 1970’s. With the election of socialist French president Mitterand in 1981, the Kanaks believed that their bid for independence would materialize. But New Caledonia’s radically conservative multimillionaire leader Jacques Lafleur held the territory firmly, and continues to do so to this day. In the 1980’s there were sporadic outbreaks of violence between the Caldoches (New Caledonian settlers of long-standing) and the Kanaks, usually over land rights. As pro-independence movements became stronger throughout the 1980’s there was constant political upheaval in the territory as voting boundaries were changed. A massacre of 10 Kanaks by mixed-race settlers further fueled the upheaval. In December 1986 the UN General Assembly voted in favor of independence for New Caledonia. A referendum for independence was held in 1987 but with the French still determining which New Caledonians were allowed to vote, the Kanak parties boycotted the election and independence was soundly defeated. As the land was once again re-distributed, leaving the Kanak peoples with the least arable land, a young, charismatic Kanak leader Tjibaou reluctantly moved the people towards civil war, stating “We are on a battlefield and we are just dead people awaiting our turn to die. The balance of power is such that if we didn’t have international support, the colonial power could wipe us out.” The socialist government in France moved in to negotiate an end to the bloodshed. Political accords were signed between Lafleur and Tjibaou giving autonomous rule to the Loyalty Islands and northern Grande Terre, with the promise of another referendum on independence (with acceptable voter eligibility) to take place in 10 years. When both Tjibou and his second in command were murdered in 1989, the Kanak political parties splintered and drastically disabled the movement for independence. A poet and visionary, Tijabaou had hoped been determined to achieve independence but with the least sacrifice of his people. He is now revered as one of the great Kanak chiefs. A modern cultural center near Noumea is named in his honor. In the 1990’s the French government has made good on its promise to improve the infrastructure, education, and life of the people of New Caledonia with an influx of more than US$750 million in 1998 alone. Three thousand new mining jobs have opened up, and electricity and water have been taken to outlying villages. Today’s New Caledonian people are encouraged to devise a name, flag, and currency design in anticipation of another referendum for full independence to take place in the next 10 to 15 years. (Jon) I really enjoyed New Caledonia and could have stayed much longer. Of course, I say that about most places we visit, but cyclone season was descending on us so we had to get to Australia and south of the cyclone belt. One thing that really made New Cal fun was all the other cruising families with teens who were there: Scud (2 boys), Peregrinata (2 girls), Safari (3 teens), and Leprechaun (2 teens plus 3 more kids). When the kids are happy, the whole boat is happy! There's so much to see and do in New Cal that we really moved around a lot, and we were lucky enough to have almost ideal winds for many of our sails. First we headed south and east of Noumea to Boulari Pass (near the Amedee light) and Dumbea Pass with Scud so their boys could surf while we snorkeled and beach-walked with their parents, Peter & Tina. Then we had to go back to Noumea for some emergency repairs as Scud blew out an engine water-pump and we melted down one of our big alternators. New Cal is French and fairly civilized, so parts can usually be replaced or repaired quickly. Both boats were fixed up within 2 days so we both headed NW on a glorious 35 mile spinnaker run to Isle Tenia, another good surf break with incredible snorkeling. The reef there makes a bit of a hook, so we could snorkel on the outside of the reef and still be protected. After a few days the wind swung around to the west so we had another glorious spinnaker run for 75 miles(!) to the Isle of Pines in the very SE corner of New Cal. There we did lots of hiking and exploring until the SE tradewinds returned and we had yet another glorious spinnaker run up to Prony Bay, on the south end of the main island. There we went for nice walks through old mining grounds and soaked in a delightful hot-spring. (Sue) One month in New Caledonia was not nearly enough! It is a place I would definitely like to go back to. The barrier reef with its islands was a highlight, with gorgeously clear water and huge, plentiful reef fish. I liked the French feel of the town of Noumea and the chance to part with gobs of money on French goodies at the supermarket, called Casino. We had very little contact with the Kanak people, but lots with Europeans and Polynesians now living in New Caledonia, and we felt warmly welcomed by all.